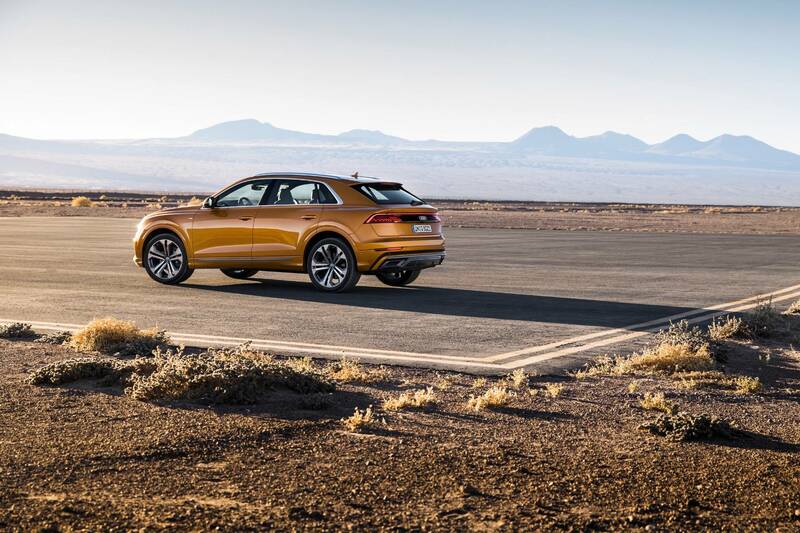 The Audi Q8 is characteristic of the modern automotive industry. 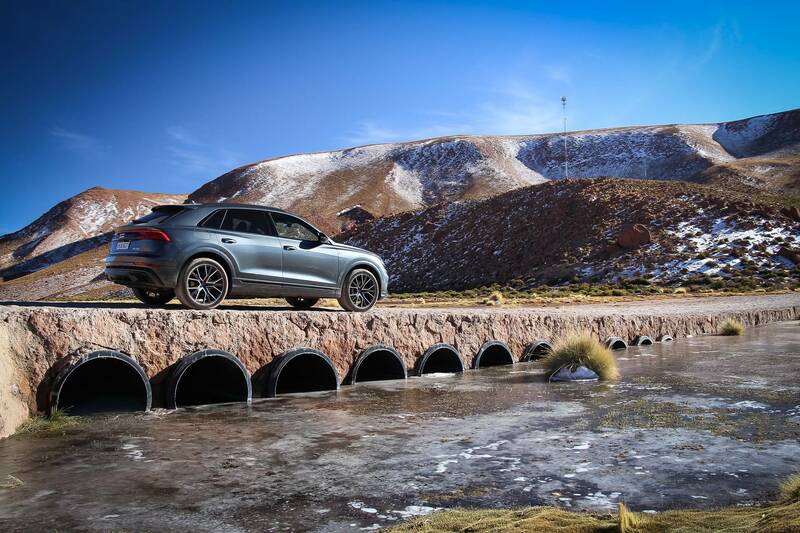 We first saw the niche which it occupies emerge with BMW’s X6 which was quickly followed with Mercedes-Benz’ GLE Coupe. 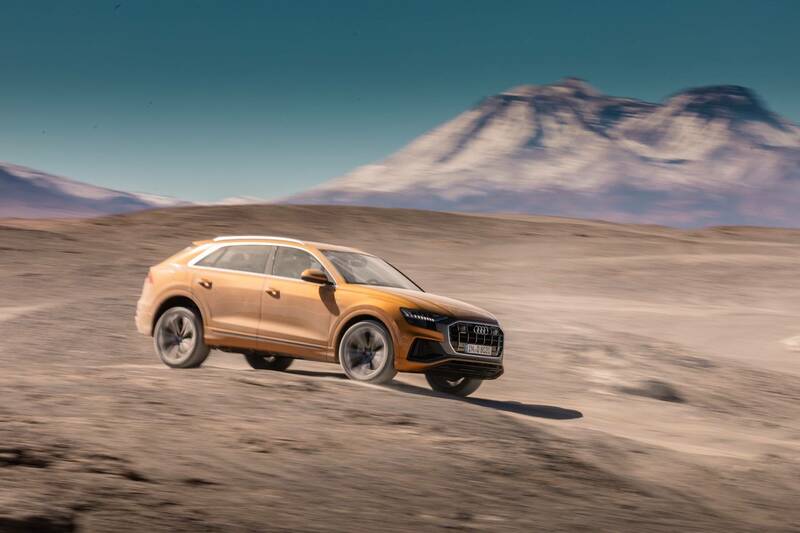 With the demand for SUV’s at record levels in most markets, SUV Coupe’s have proved to be a run away success. 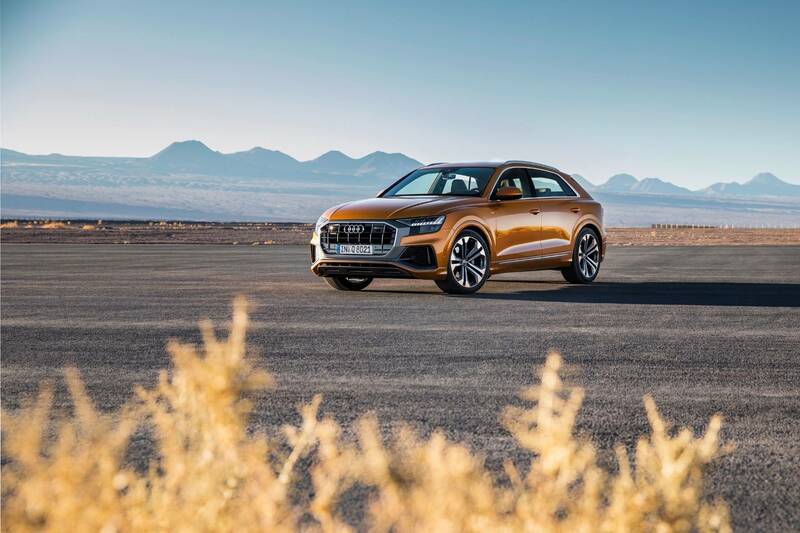 Audi is a relative latecomer to this market, launching the Audi Q8 more than 10 years after BMW pioneered the niche. What can it offer? 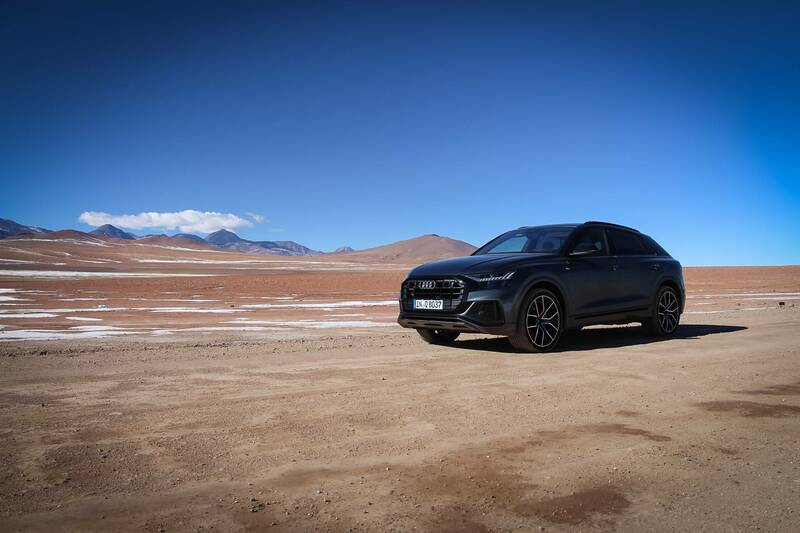 We found out during our recent trip to Chile’s Atacama desert. 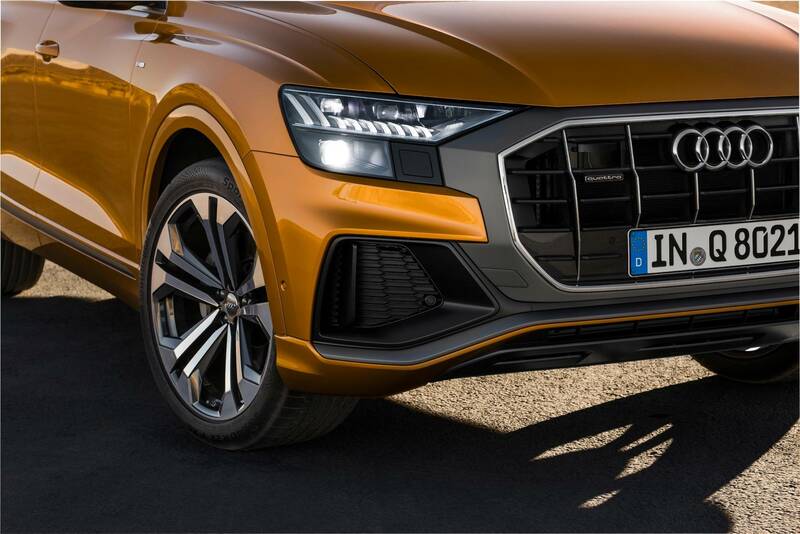 The Audi Q8 forms part of a wider model range expansion for the Ingolstadt brand. It must have been an easy sell to the board of directors. 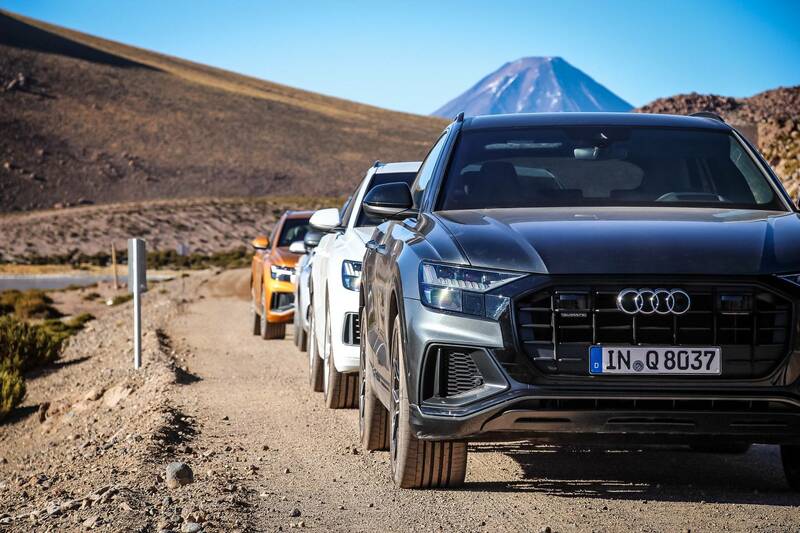 Fundamentally, the Q8 uses the MLB platform which underpins most models from the Volkswagen Group these days. 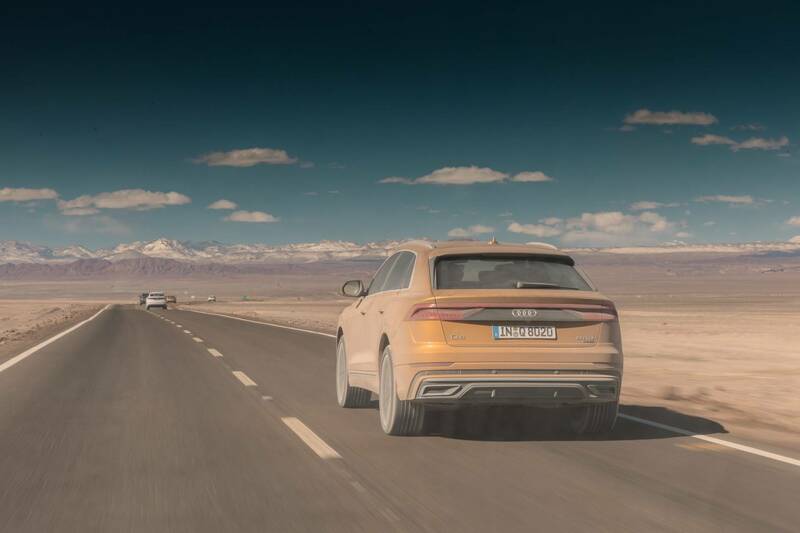 It is shared with the Porsche Cayenne, the Audi Q8 and the Volkswagen Touareg, all of which use the latest iteration – MLB Evo. Underneath, there is a set of familiar power units. 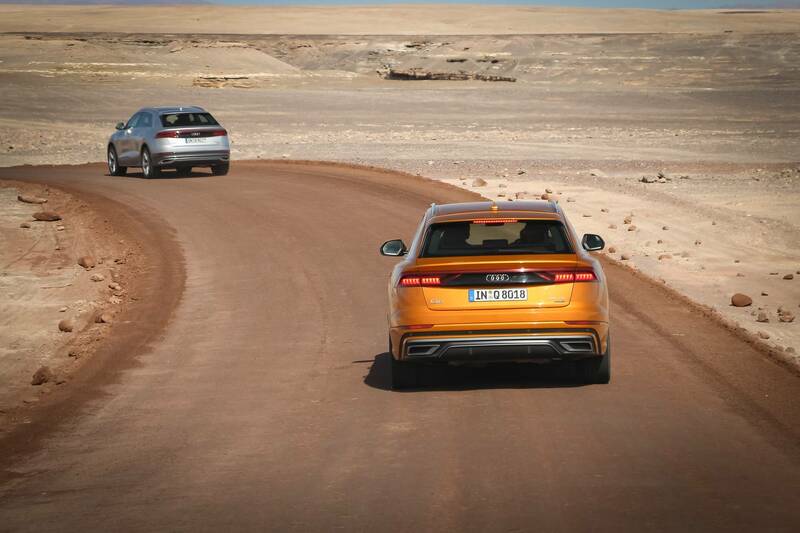 One petrol and two diesels will be available to begin with. 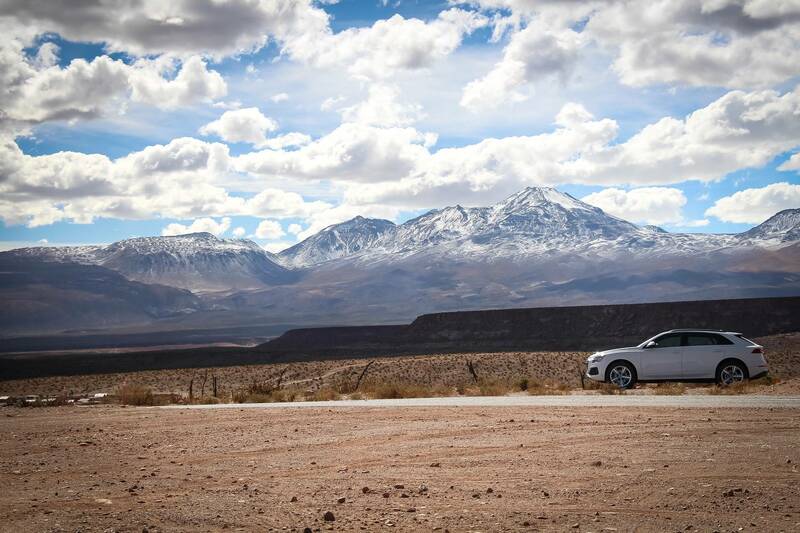 We drove the 55 TFSI, the current range topper. It uses a 3.0 litre V6 unit with 340 hp. 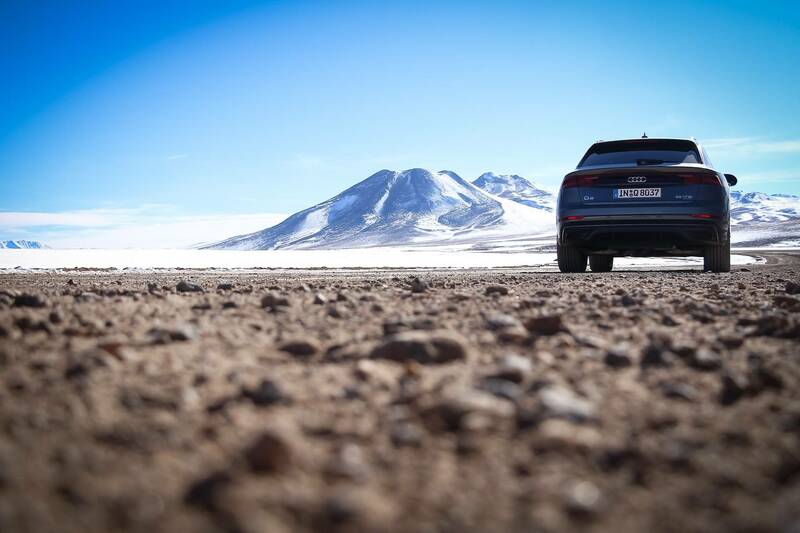 The 50 TDI is the most powerful diesel on offer using a 3.0 litre unit with 286 hp and 600 Nm of torque. 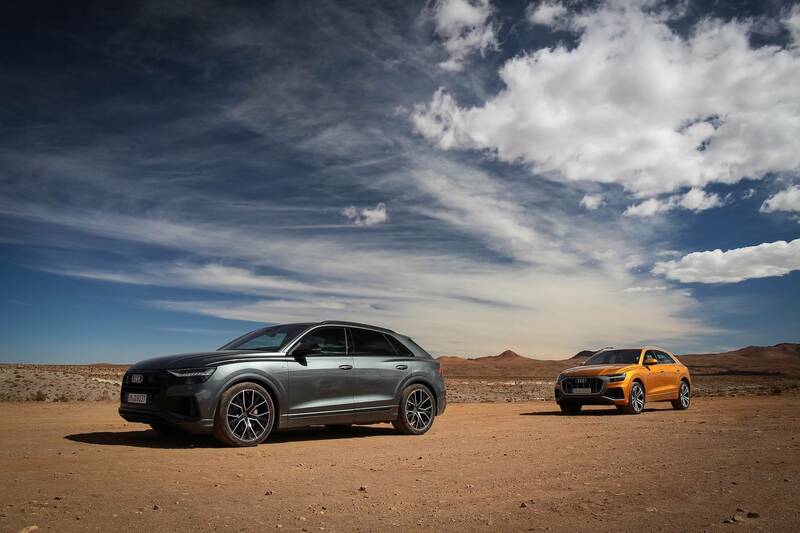 These two options will be available at launch in Europe with the less powerful diesel to follow early next year. 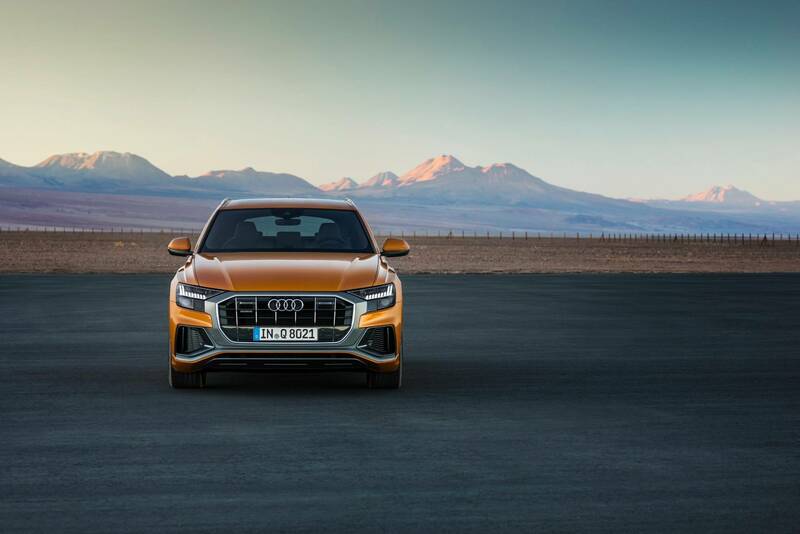 China and the US will get the 55 TFSI. Recent trends in Japan have seen improved demand for Diesel engines so that market will get both. Other markets will be assessed and will either get the petrol model or both. 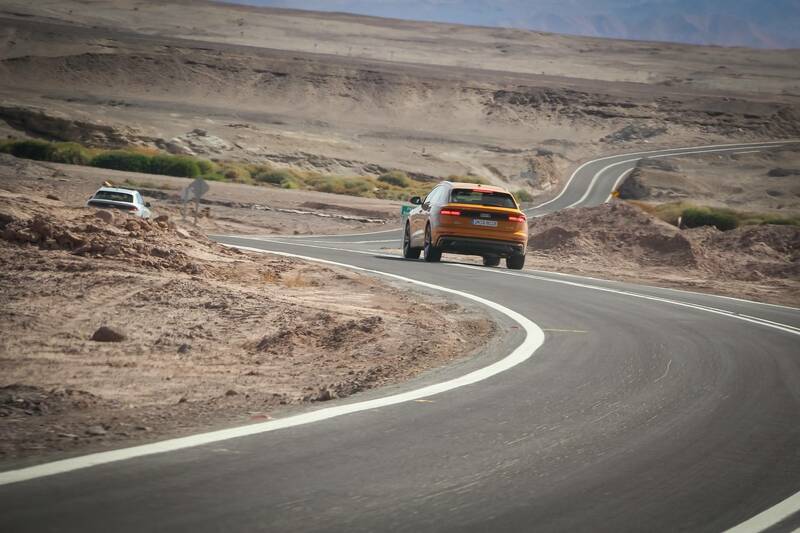 Our test route was quite extensive, covering some 300 km of the Atacama desert. 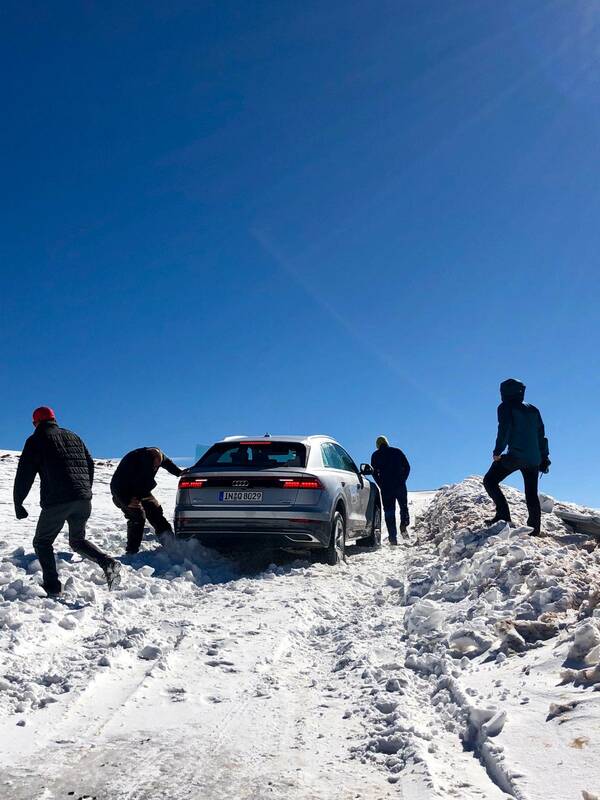 We saw the widest range of situations, from dust covered dirt roads to pristine highways and high altitude mountain passes to off road terrain. 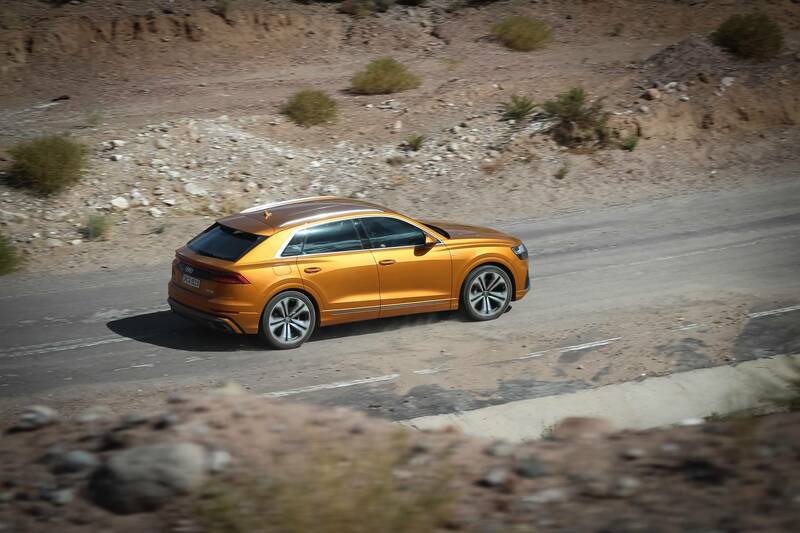 It left no aspect of the Q8 untested (except perhaps the infotainment systems… more on that later). The fact that our test was so extensive, a little over 2 weeks after the details were officially released is actually quite remarkable. 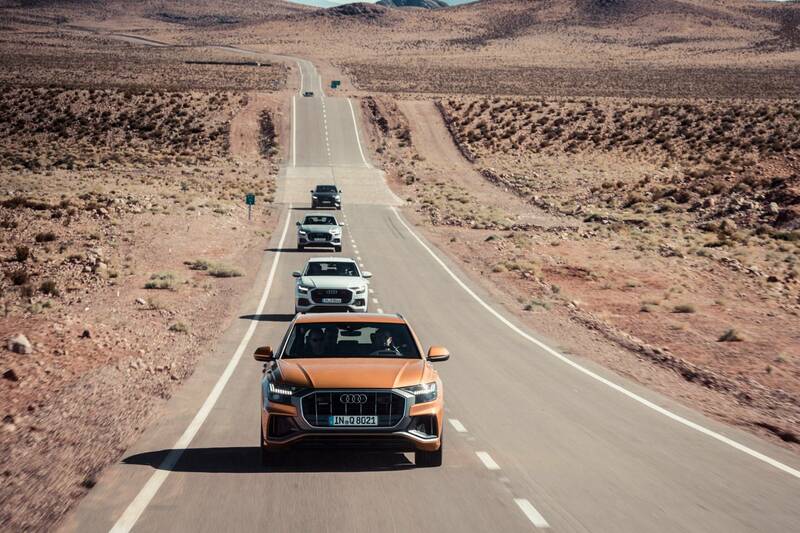 Audi engineers must have been hard at work for quite some time before. We drove a finished car, not a prototype. 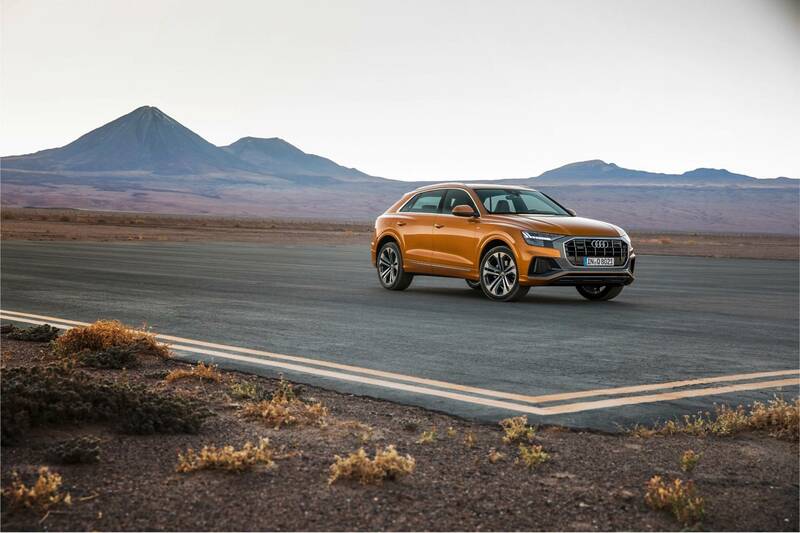 Cutting straight to the chase, my greatest praise for the Audi Q8 is the way that it rides. 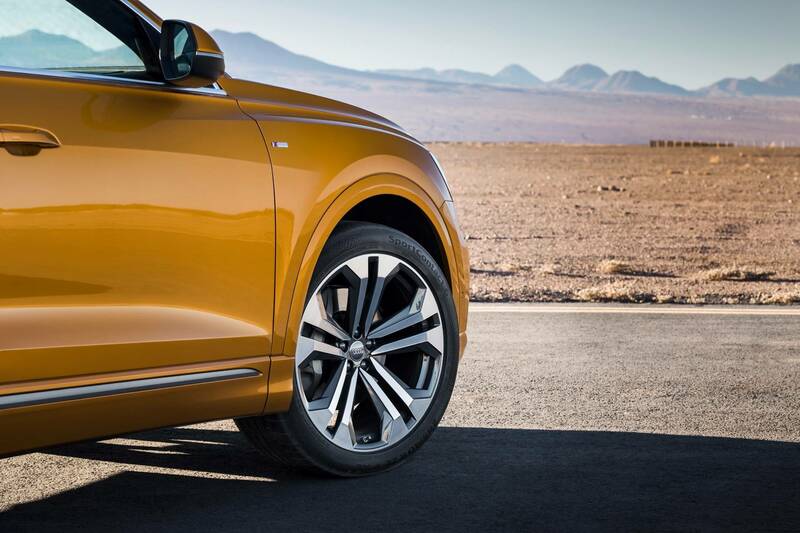 SUV’s often suffer dynamically due to a combination of high centre of gravity and vast weight. 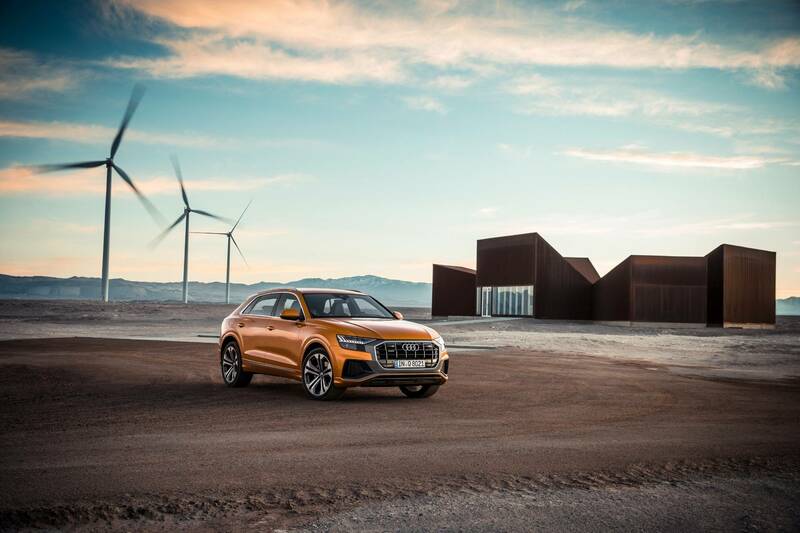 Despite the packaging, there is no escape from the fact that the Q8 weighs some 2,145 kilograms and carries an almost 5 meter footprint. 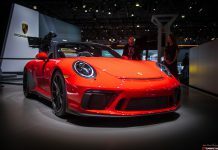 Comparing it to anything other than its immediate competition, and without taking into account these inherent engineering constraints would be wrong. 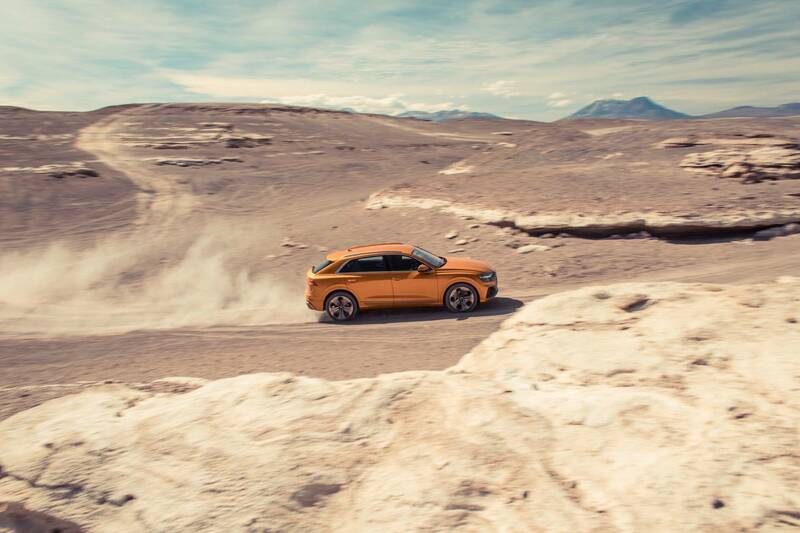 Travelling at normal highway speeds across the gravel roads that link sections of the worlds driest desert uncovers no issues with the chassis setup. 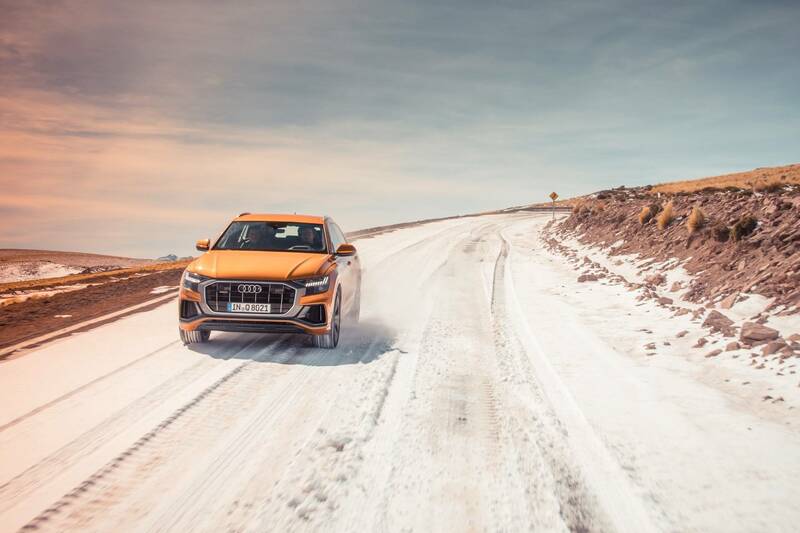 Audi offer three levels of suspension for the Q8 with a standard adaptive setup as standard, the optional adaptive air suspension was fitted to both our test cars. 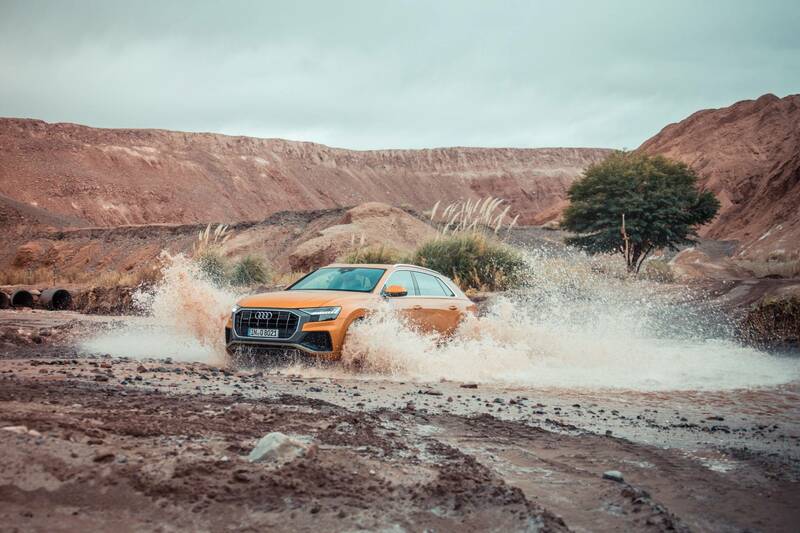 Moving between the dynamic modes, it is quickly clear that the Audi Q8 has been tuned specifically to deal with these sorts of environments. 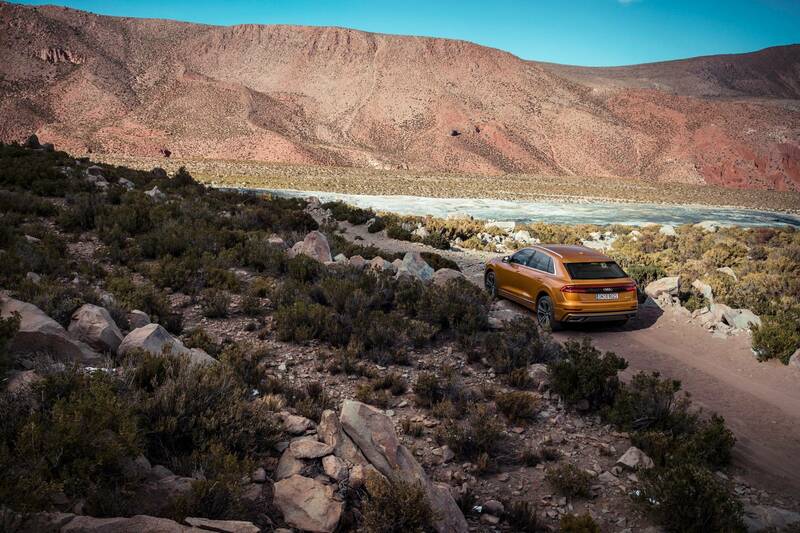 It floats from one pothole to the next with little drama in comfort mode. 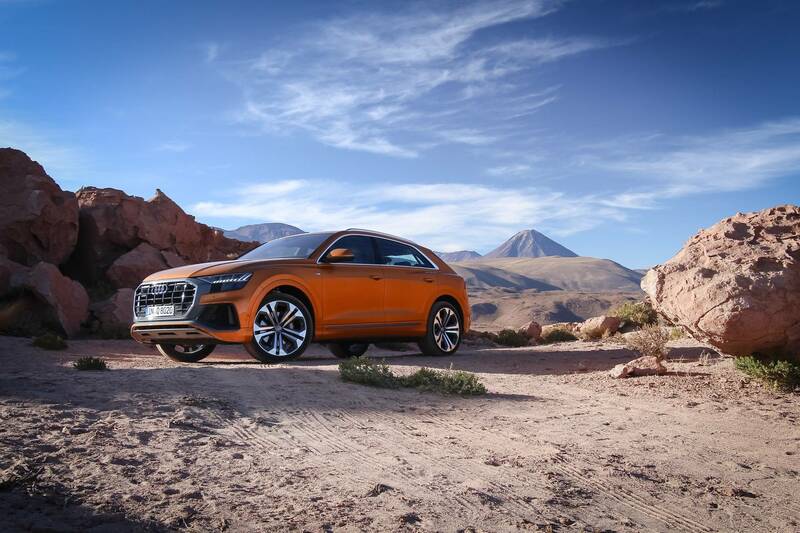 Switching into dynamic mode makes for a less comfortable experience, naturally, yet it demonstrates the dynamic range the Q8 is capable of. 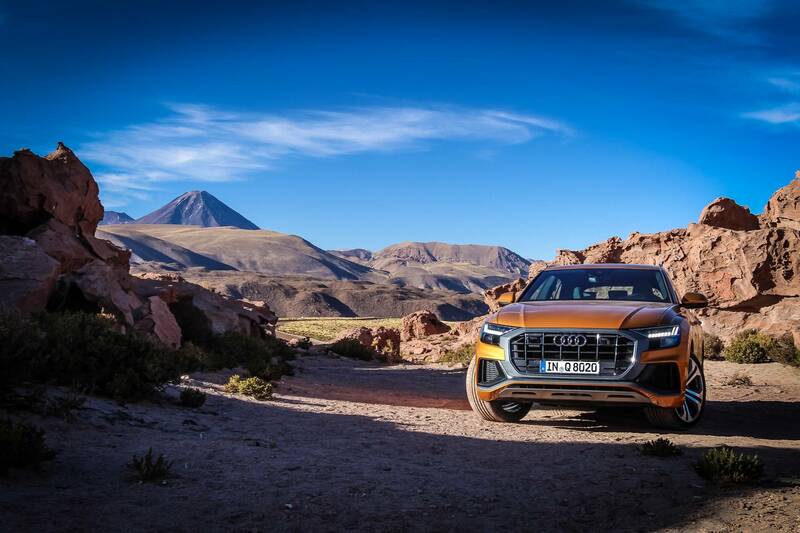 Audi’s individual mode is helpful with the extreme Chilean altitude, allowing a comfortable chassis setup using the dynamic engine tune to improve performance of the engine. A competent chassis needs a competent drive train to exploit the most out of it though. 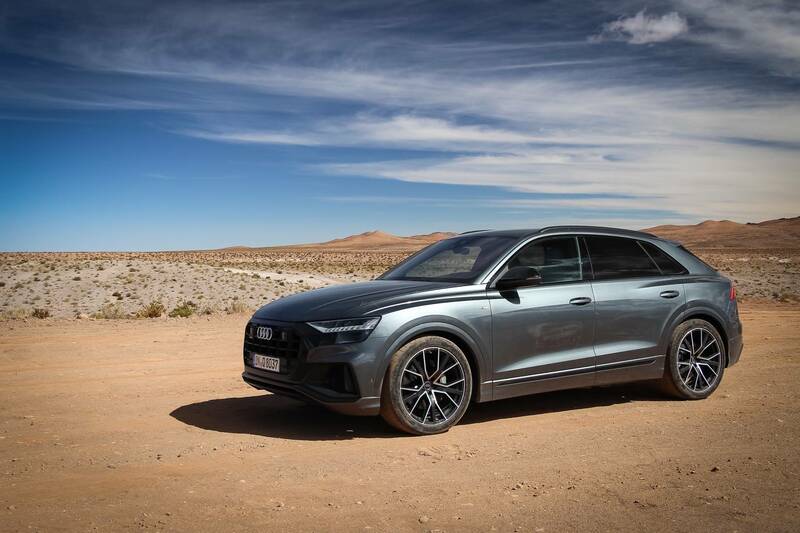 Having driven the 55 engine fairly recently in the Audi A7 and left fairly impressed, I had high expectations for the Q8. It lifts the unit, PHEV unit and all. 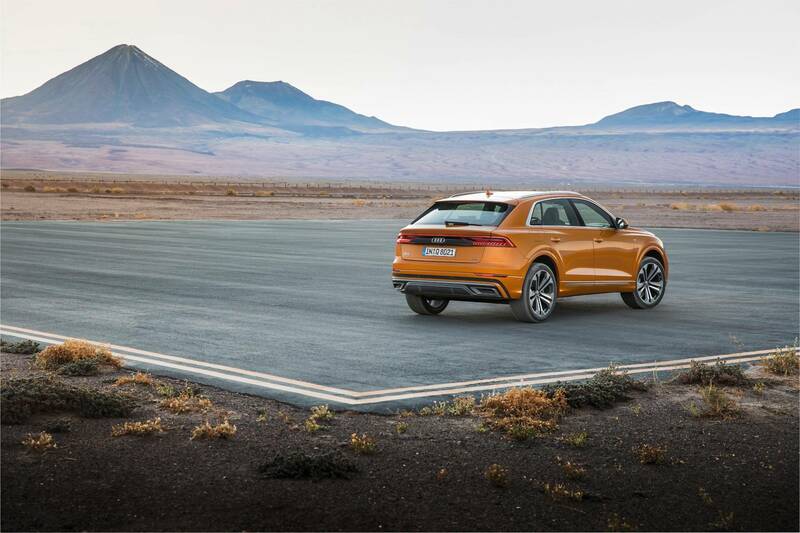 The 48 volt system is quite unique and allows Audi to carry out some technical wizardry to improve both performance and efficiency. 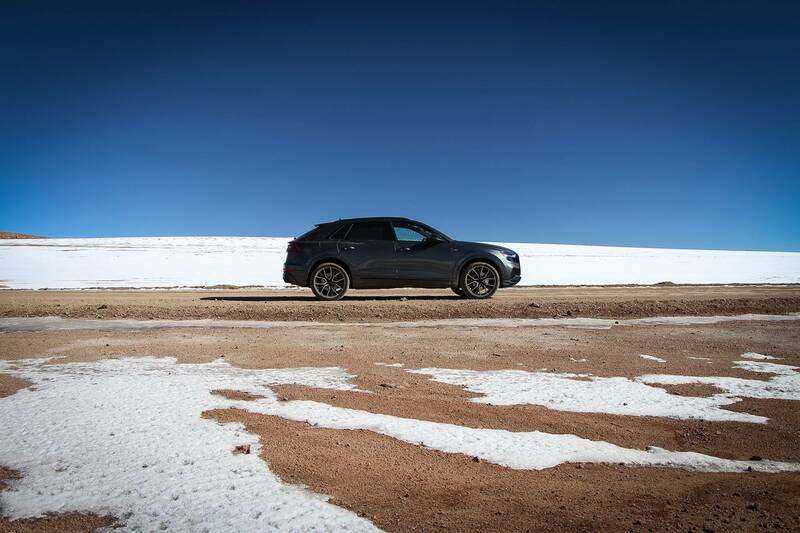 Factors that undoubtedly affected our drive included the extreme altitude. At 3,000 metres, the oxygen density is just 14.3% compared to 20.9% at sea level. We travelled all the way up to 4,500 metres on the route (a dizzy 11.8%). Clearly the 55 engine would underperform at these heights especially considering the weight it had to carry. The 55 engine felt weaker than the statistics suggest. There was a slight hint of struggle lower down, with the Q8 gaining a decent amount of momentum higher in the Rev range. I suspect that it would improve at more normal operating environments and that the altitude had a role to play in my own experience. 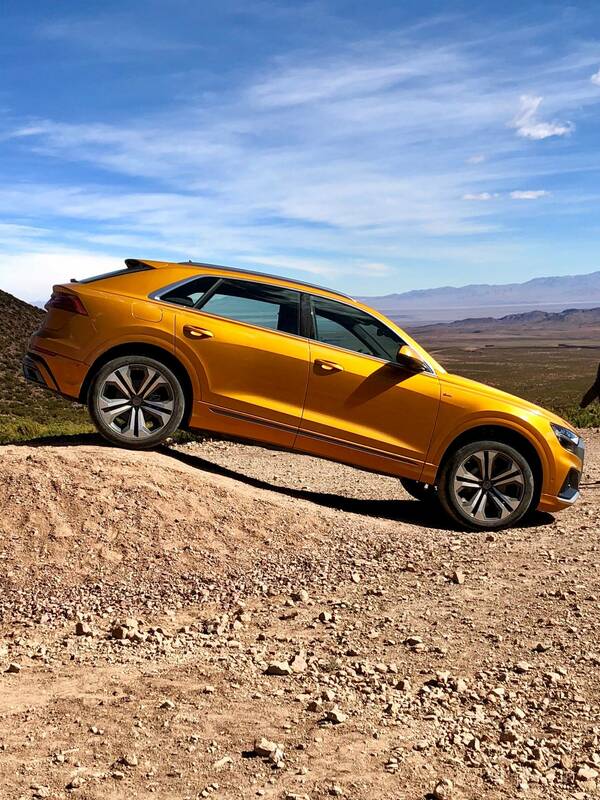 Once again, I also have to remind myself that the Q8 is no race car! The 50 engine felt more responsive. 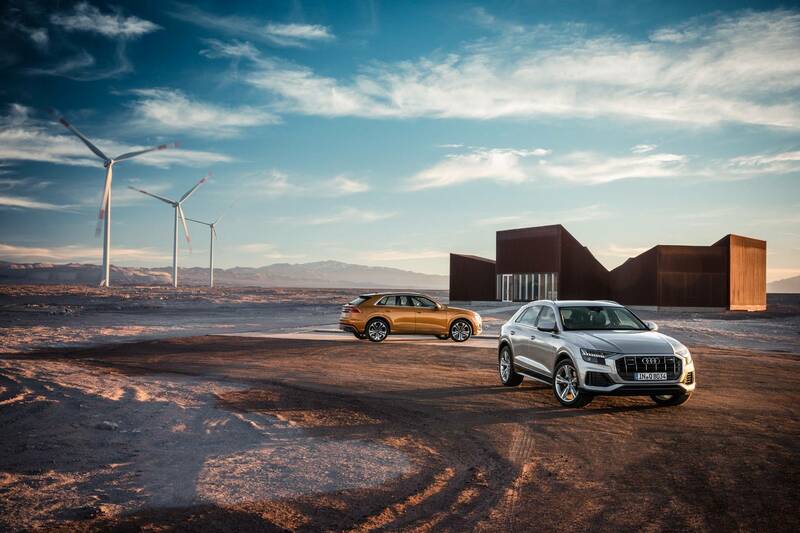 Audi has led diesel technology for the past 10 years. 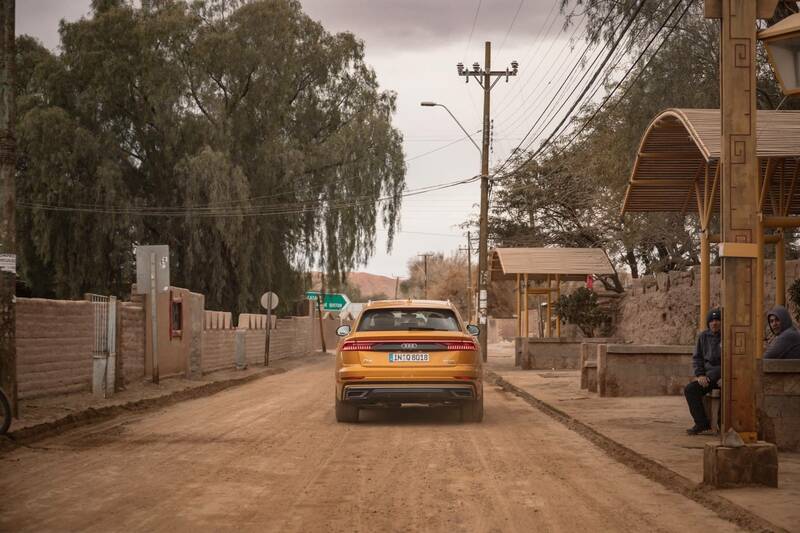 Despite diesel gate, the faithful TDI power unit shows no sign of disappearing from the range. 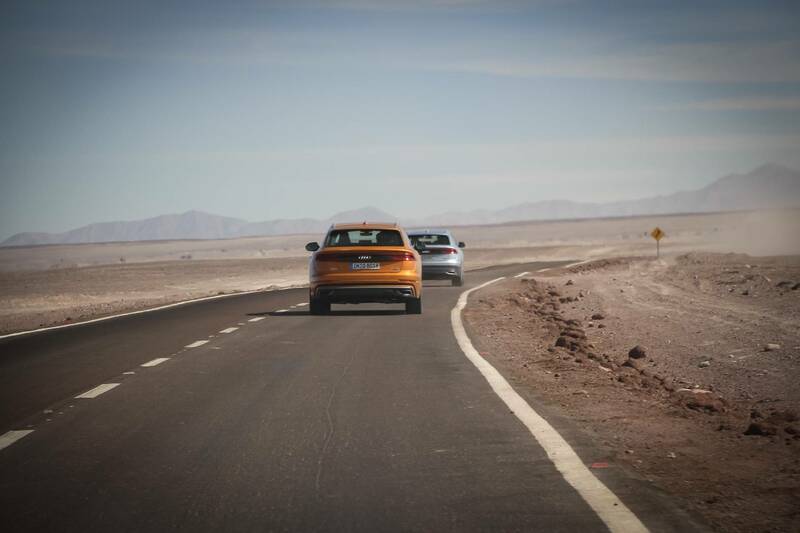 We had less time with the 50 engine, yet it performed admirably on the dirt roads of the Atacama, although it also suffered at as a result of the altitude. 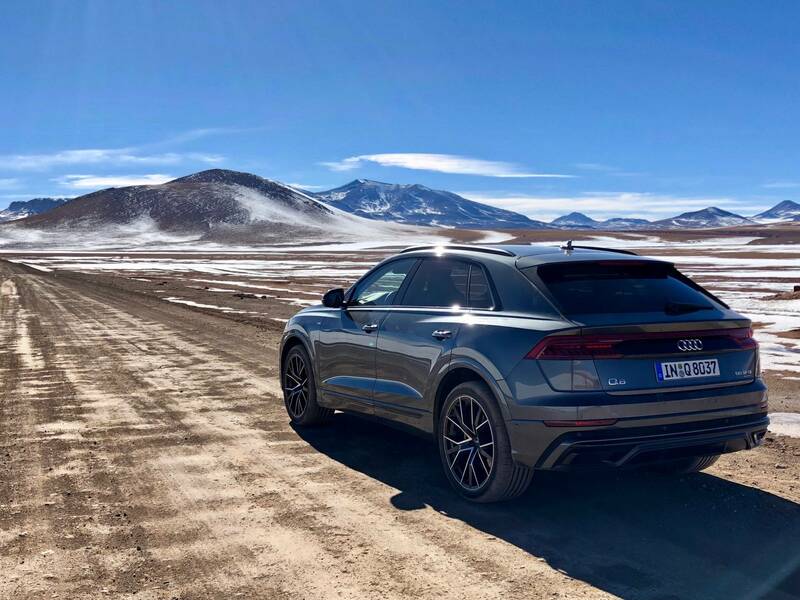 In terms of versatility, the Audi Q8 is very impressive indeed. Despite the raked rear end, luggage and rear head space is very impressive. 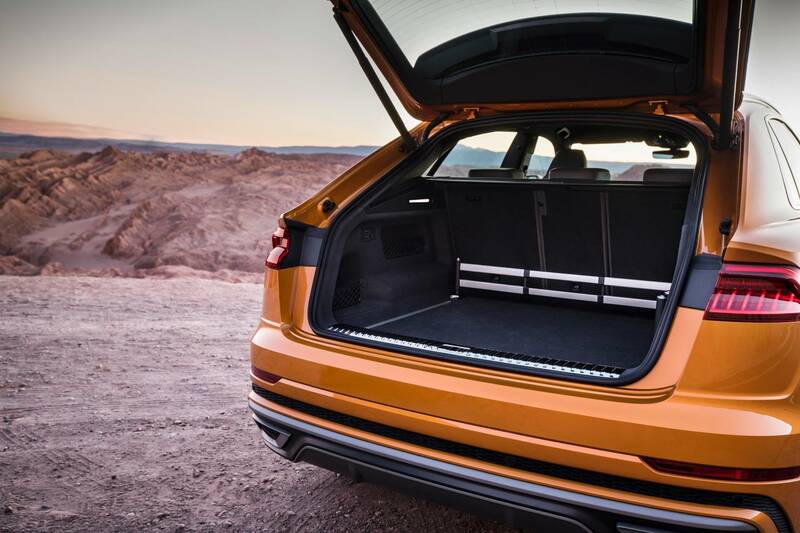 The rear seats sit in runners meaning that they can be pushed forward or backwards depending on the boot load requirements. 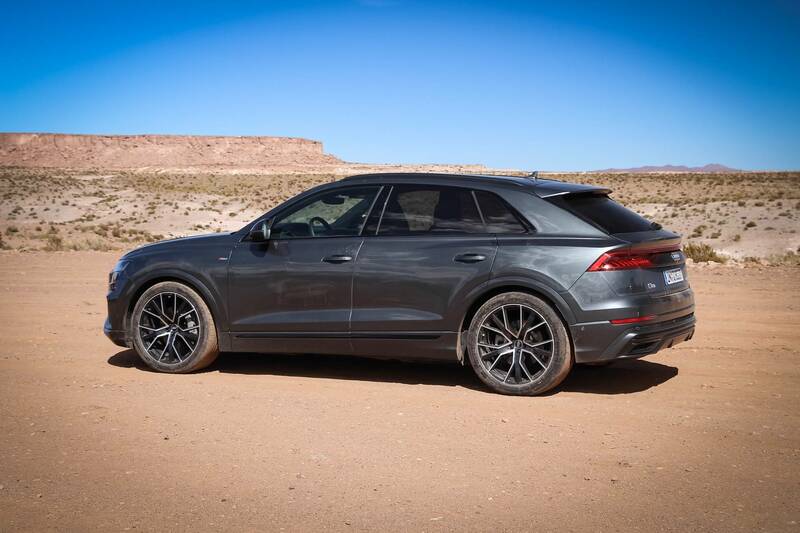 The rear boot hatch can be operated with a simple swipe of the foot, a button lowers the air suspension, brining the rear hatch to a lower height. 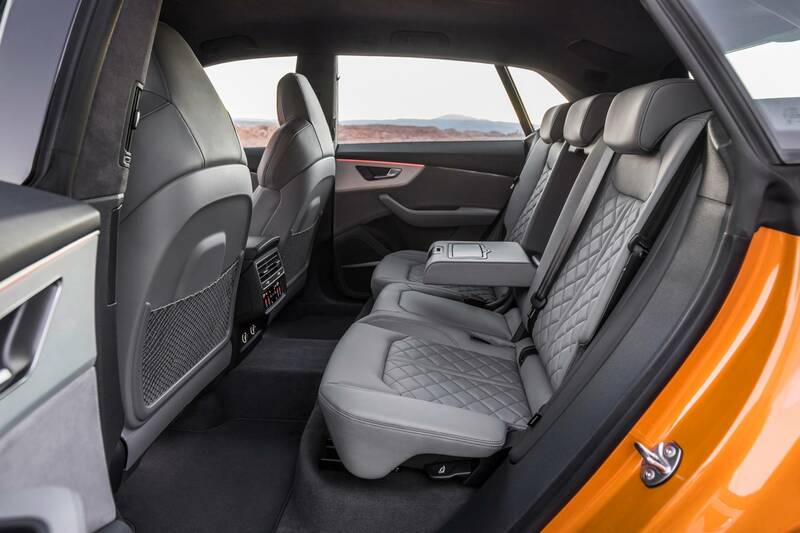 The rear leg room is simply staggering with the rear bench push to its furthest position. 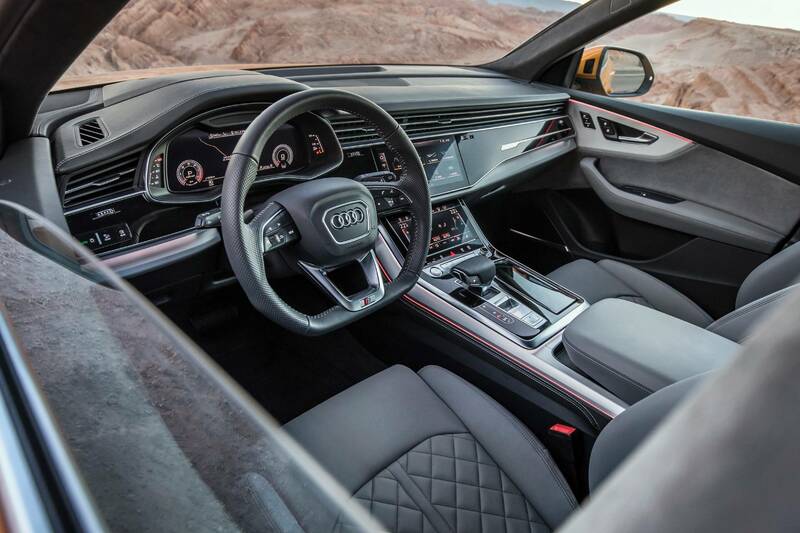 Audi’s latest infotainment is fitted at the front. 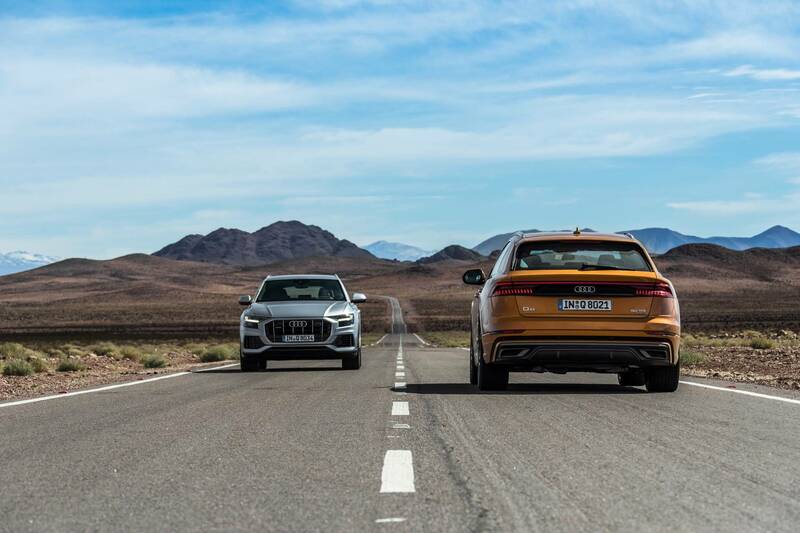 Anyone who has had a look at either the A8, A7 or A6 will recognise the format. 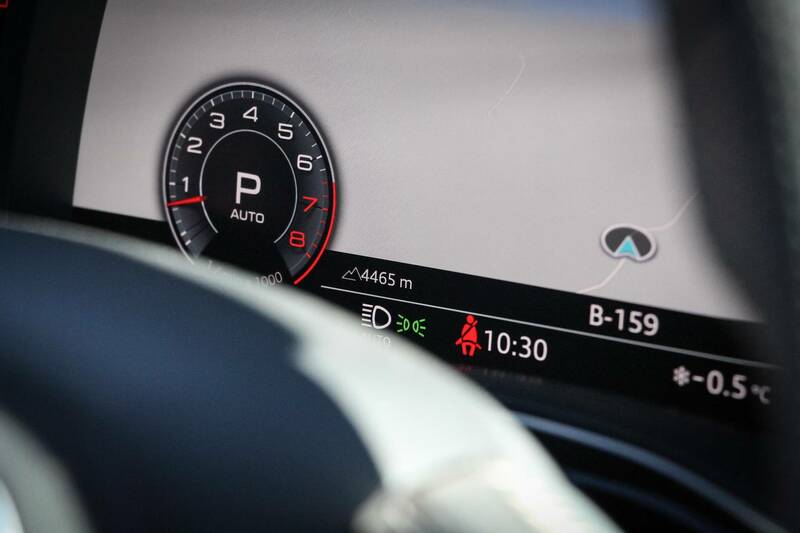 The large digital instrument cluster creates a space which can be fully customised to individual requirements. 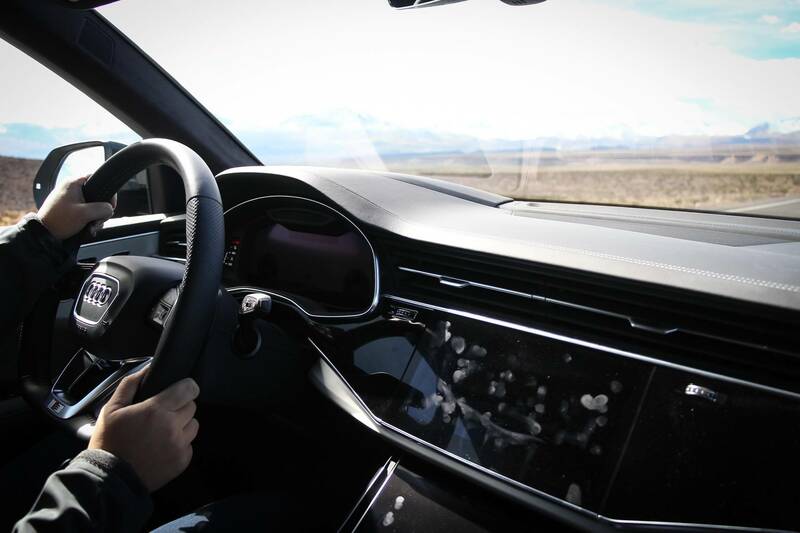 Two integrated touch screens use a haptic feedback setup for function controls. This gives the Q8’s glass surfaces the feeling of buttons. It is possible to use the buttons with gloves on. 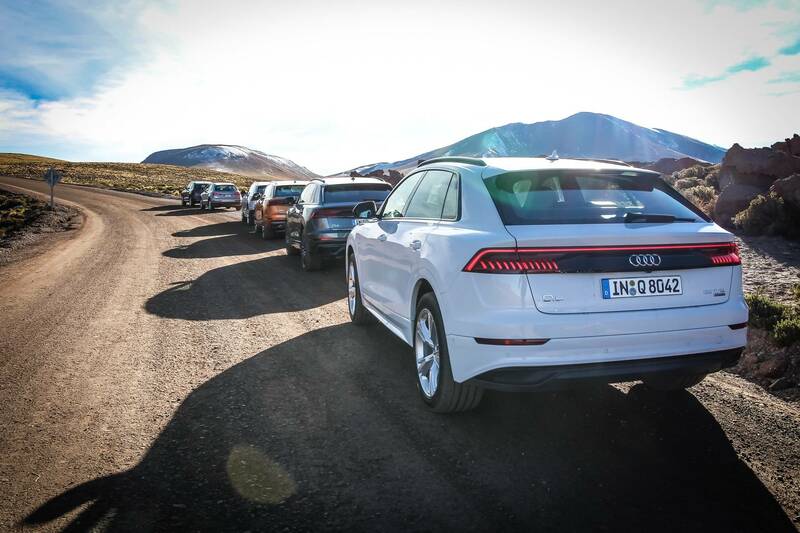 Due to the remoteness of location, we were tethered to Audi’s pace cars for the entire duration of our trip giving us little opportunity to test the navigation systems. 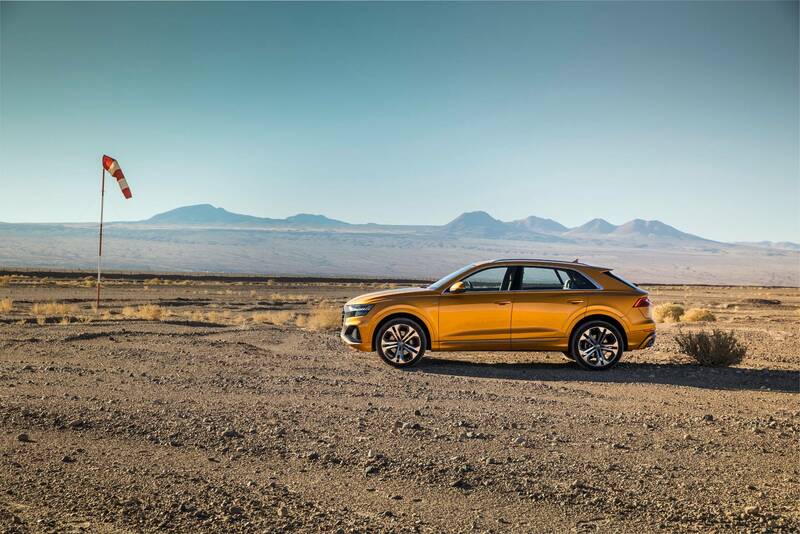 Audi’s version uses a simple setup of the (HERE) system. 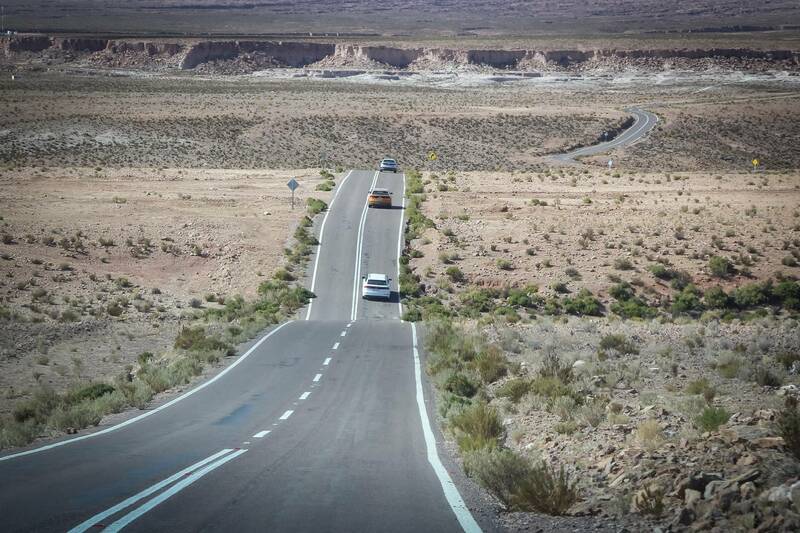 The flaw here is that navigation in remote environments where 4G is often unavailable, becomes tricky. The standard maps simply fail to deliver on the amount of detail required. 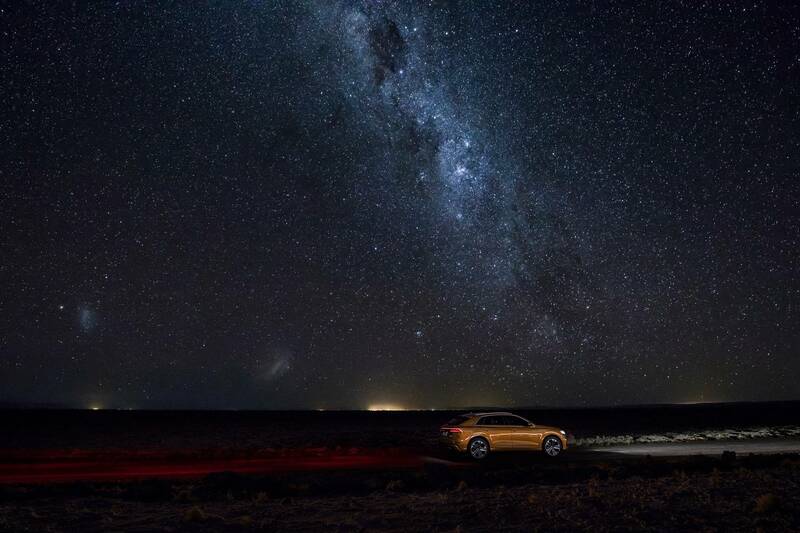 Having used the system in the A7, we can confirm that with GPS and 4G signal, the navigation system works pretty well. If you are driving in central London, these shortcomings are unlikely to cause a problem. In somewhere like rural China, it could prove to be a problem! 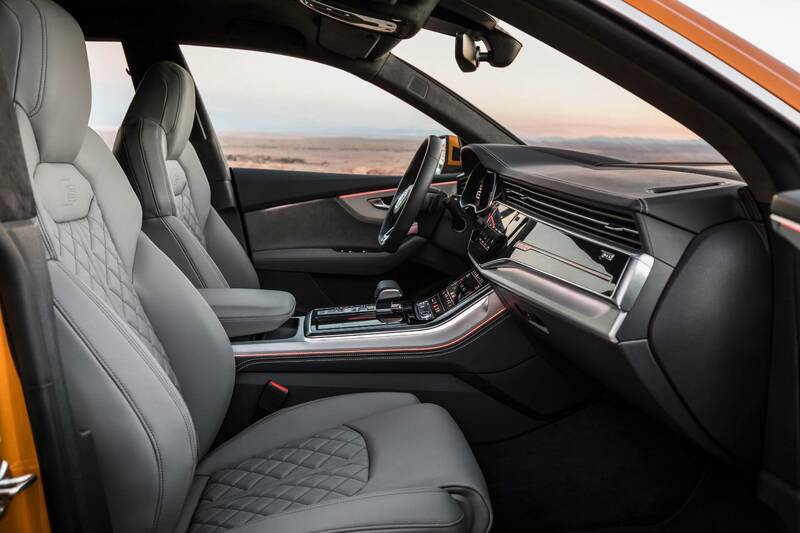 Interior trim is typical Audi. 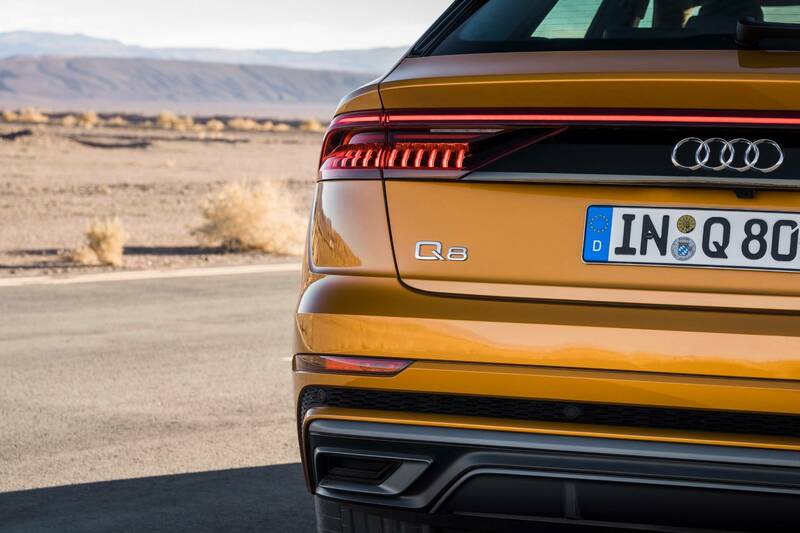 The Q8 has had a significant redesign. It looks staggeringly minimalist to the eye. A single air conditioning vent wraps the front dash board. 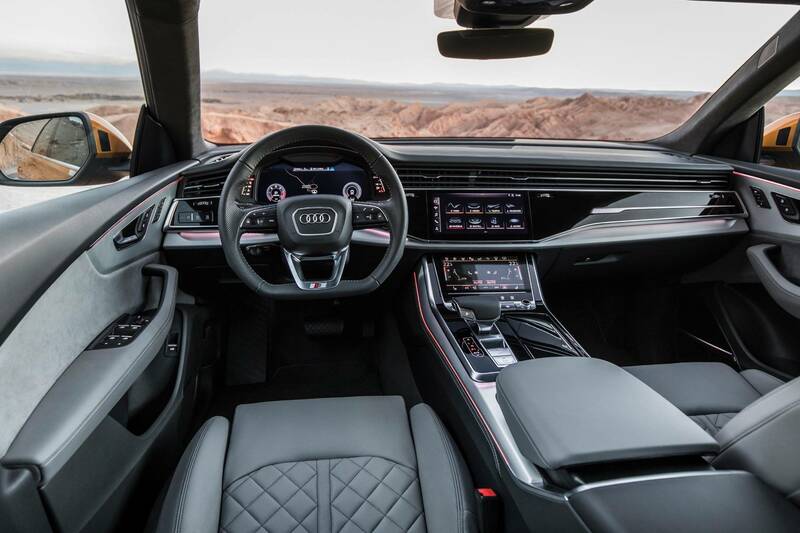 Few buttons are present and the central transmission tunnel is only punctuated by the Audi drive select lever. Leather is applied to all surfaces as standard. Our test car had an Alcantara roof liner and piano black inlays. 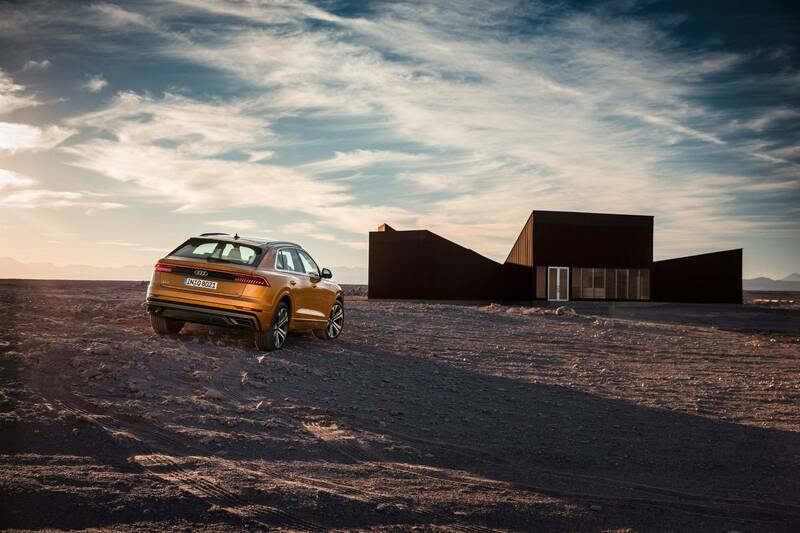 Typical Audi and we have no complaints about that! 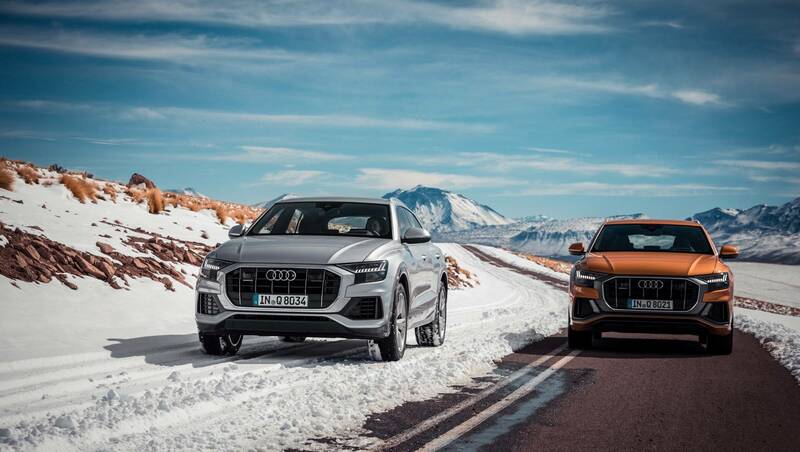 The obvious competition for the Audi Q8, as we have lauded to above, is the BMW X6 and the Mercedes-Benz GLE Coupe. 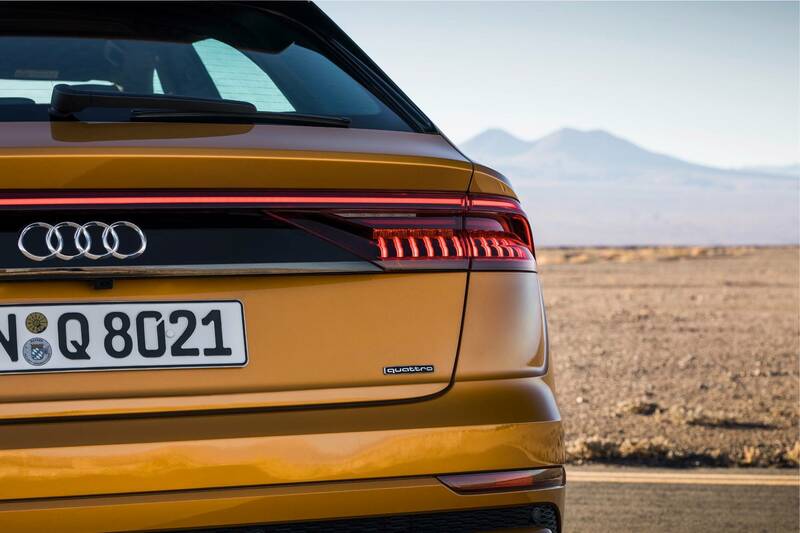 If the decision is made on design, to my eyes, Audi have the segment stitched up. 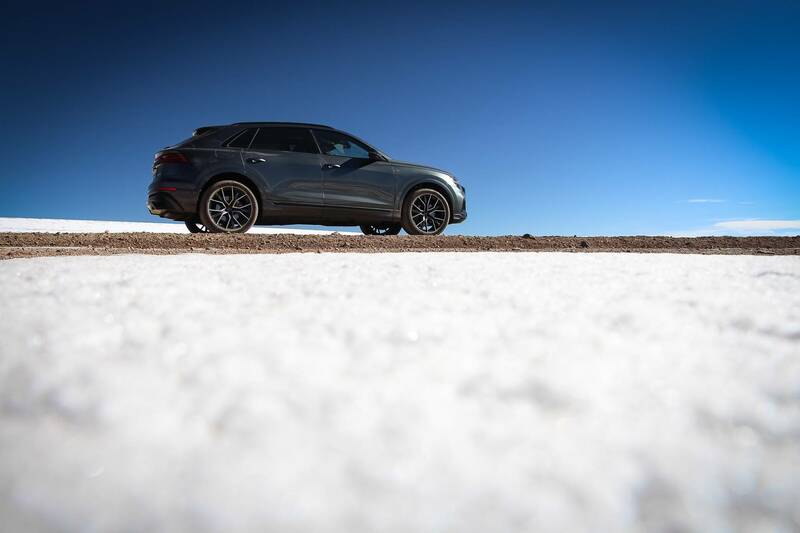 BMW are due to refresh the X6 very soon which could provide competition for the Q8. 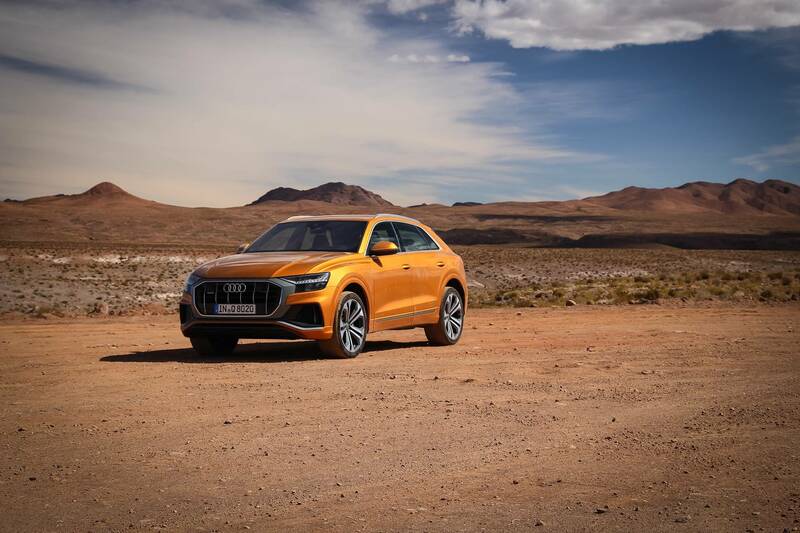 To my eyes, neither the X6 or GLE Coupe have had particularly attractive designs, the Q8 does for me. Such considerations are very subjective. What should you consider for the future? 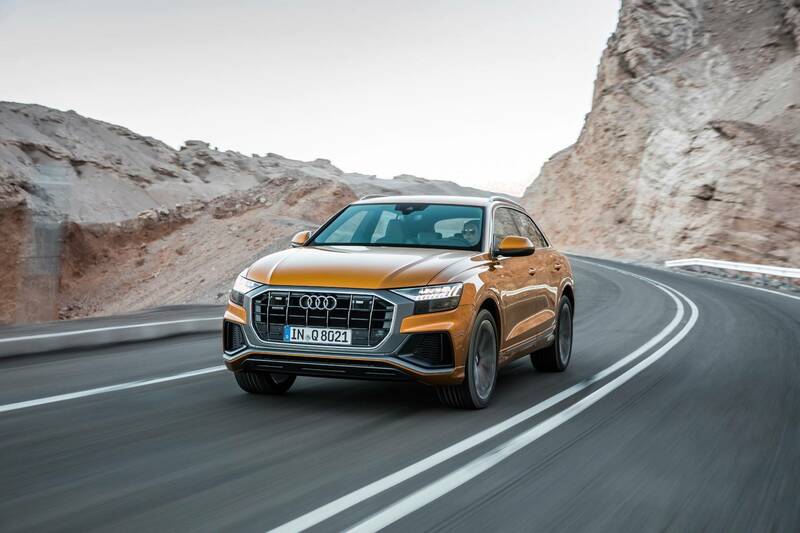 This is an interesting question as it seems that Audi will release Audi sport versions of the Q8. 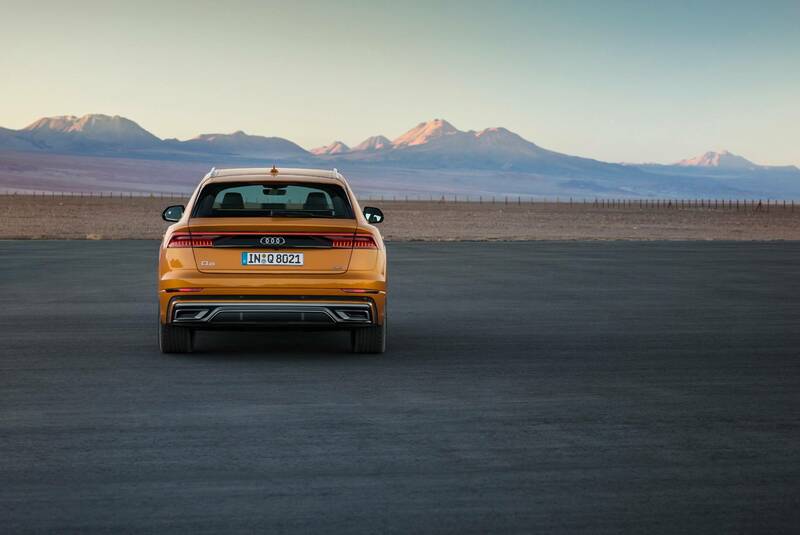 We recently spotted the quad tailpipes SQ8 testing at the Nurburgring. 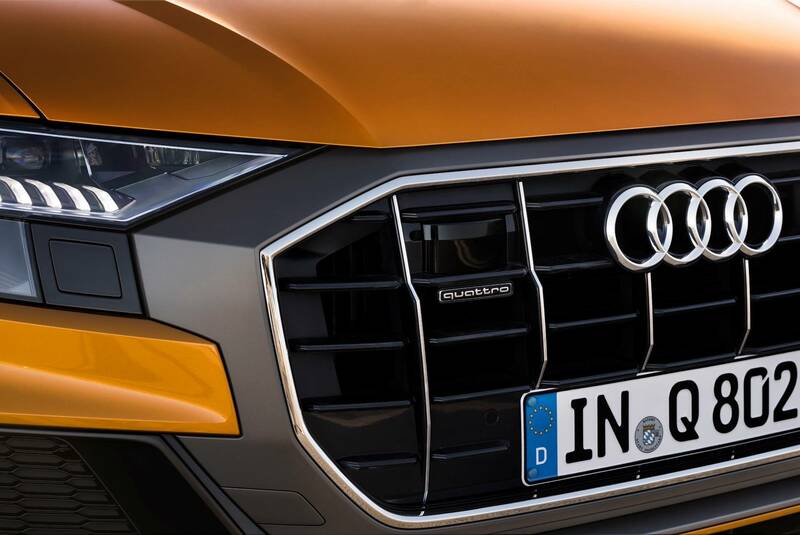 When it is released it will sit at the top of the diesel model range. 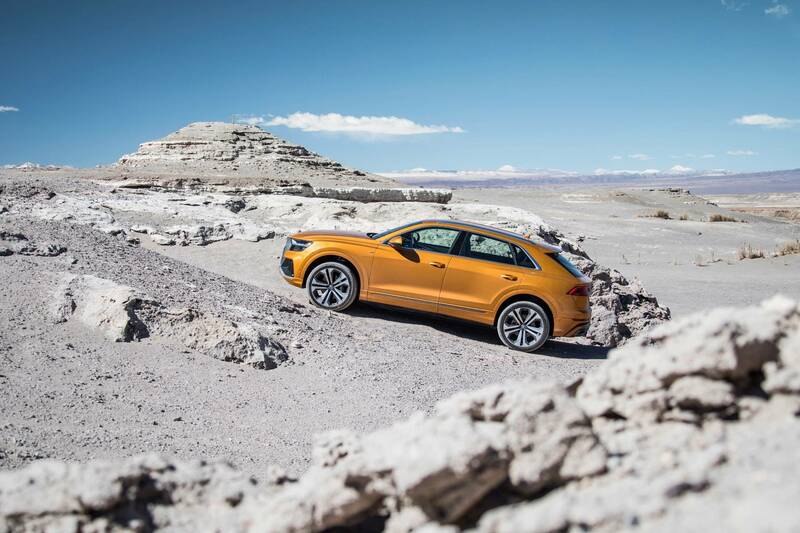 There will also be a range topping RSQ8 model. This will be a petrol version. 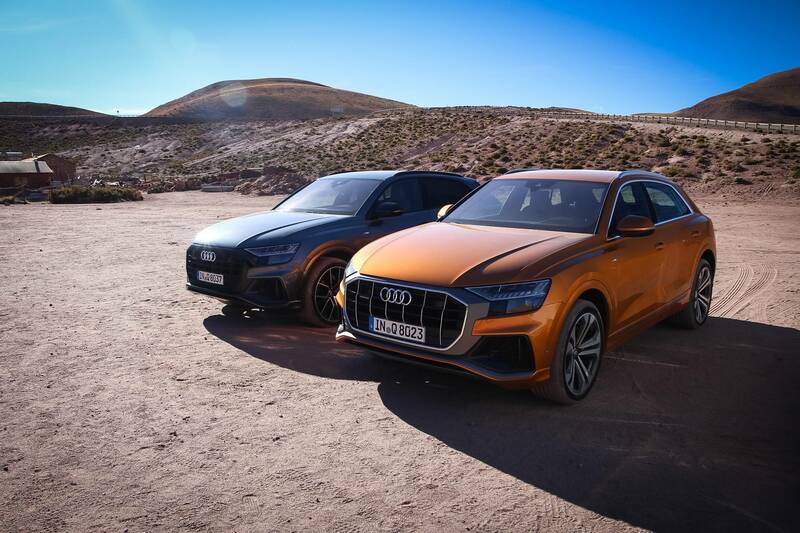 Both models are unlikely to deviate from the Audi script much. 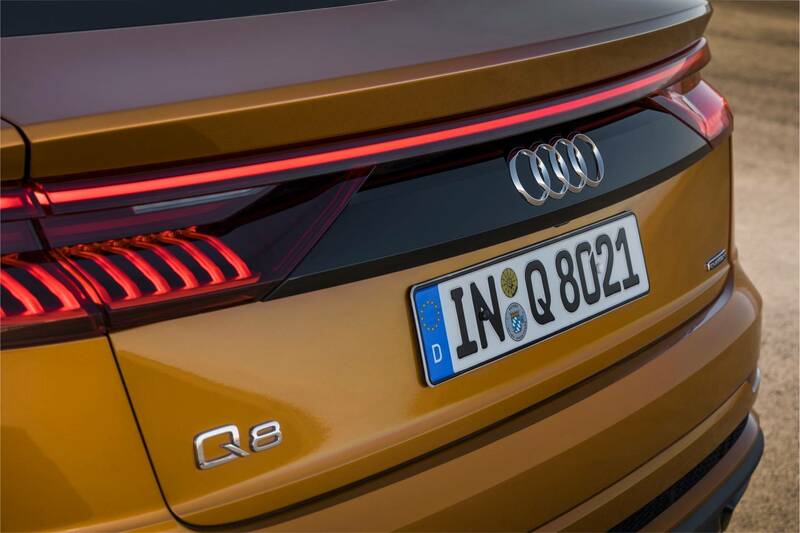 What you see in other S and RS models will most likely be replicated for the Q8. 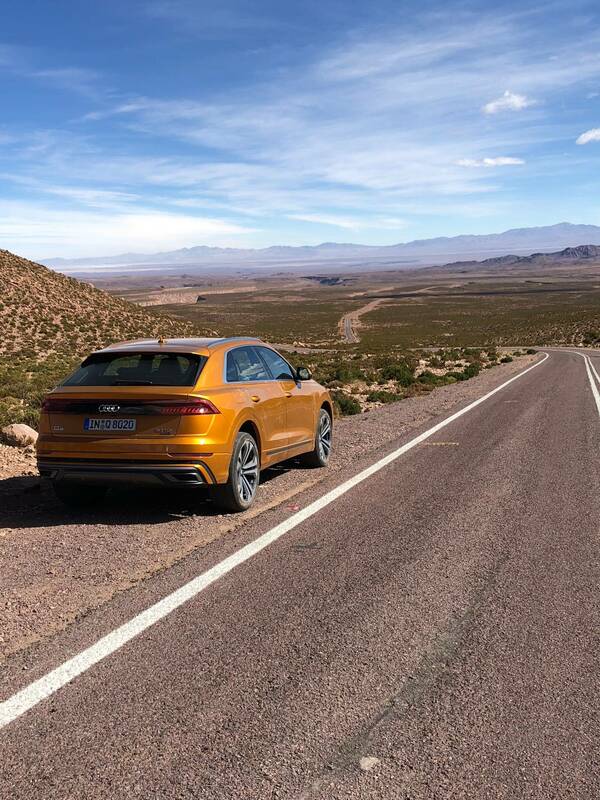 My final impressions of the Audi Q8? It appears well worth the wait. 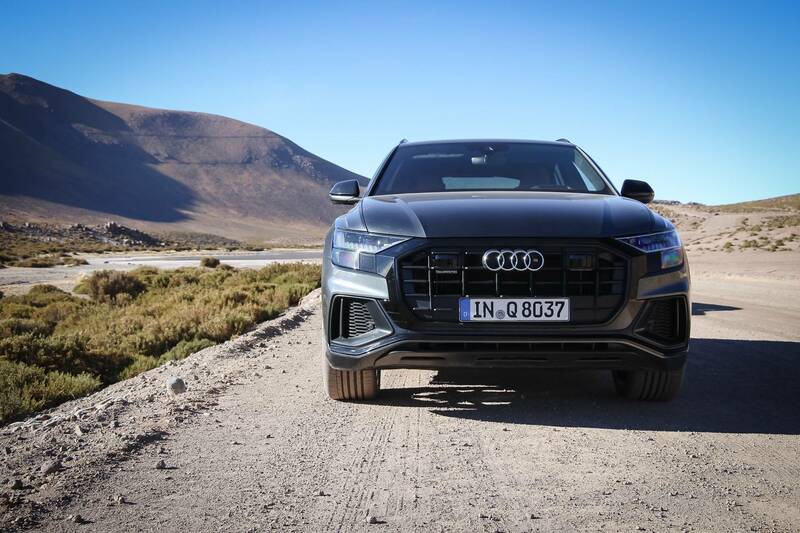 The model to go from seems to be the diesel for the time being, although we would like to try the 55 engine on European roads before we fully endorse that advice! 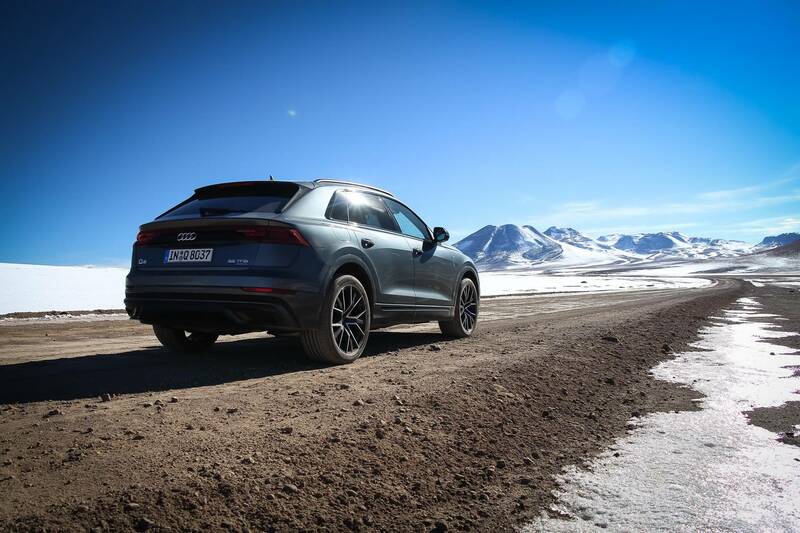 Regardless of the choice of engine, the chassis is well sorted with the dynamic range you would expect of a modern SUV. 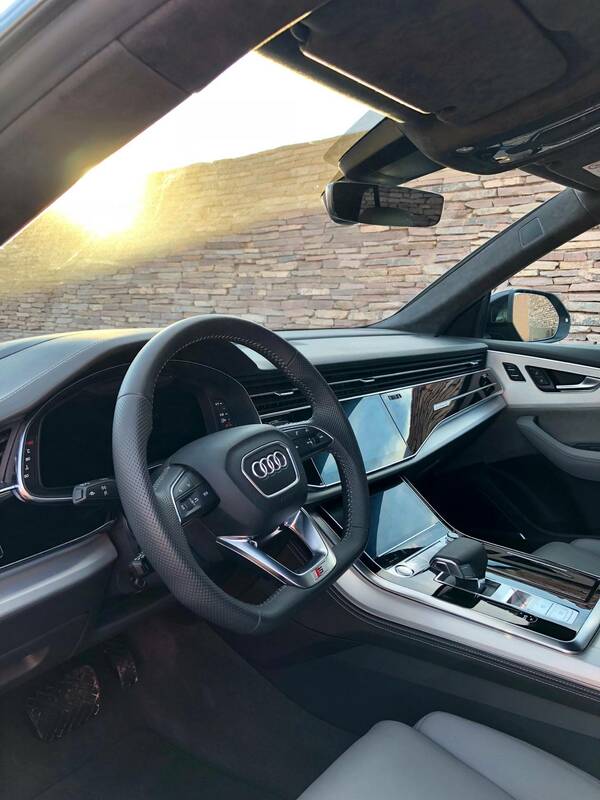 The infotainment system is also impressive, especially for those that are able to take advantage of the connected technology!